Sometimes it feels like Christmas spirit is mandatory, with carols and tinsel being shoved in our faces from mid-November right through December. But not everywhere in the world goes as hard on celebrating the holiday season as we do. If you’d rather avoid the Christmas period altogether, hop on a plane and escape to one of these incredible destinations, where there’s not a Christmas tree or turkey in sight! These are the best places in the world to avoid the Christmas hype. This enormous country has such a varied landscape, you’re bound to find something to suit your holiday style. 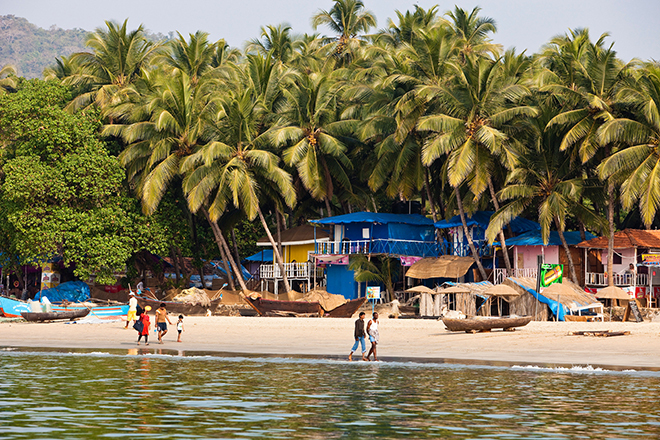 If you’re after a beach break, head to Kerala or Goa, where sandy beaches are tickled by warm Indian Ocean waves and beach huts serve cocktails and fresh barbecued fish. 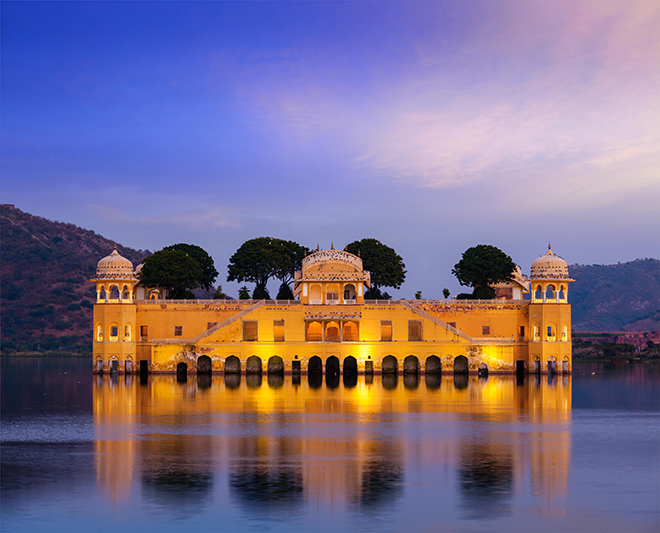 For something more colourful, go to Rajasthan – this desert region is famous for its fortifications (Amer Palace and Mehrangarh Fort are two of its most impressive) and a meat-heavy cuisine packed with flavour. You can combine Rajasthan with a trip to the Taj Mahal in Agra – one of the world’s most beautiful buildings. Or, slow down and indulge in some serious you time at a yoga or meditation retreat – India is, after all, one of the world’s most spiritual destinations. Stay at one of the many great resorts in Kerala or Goa, or base yourself at the opulent Taj Lake Palace in Udaipur, Rajasthan, for tranquil luxury. Regularly topping lists of Africa’s safest countries, Namibia is the perfect place for your first safari, and travel in December to enjoy the height of summer here. You’ll spot all manner of wildlife in Namibia’s national parks – the best is Etosha – from lions to leopards and elephant to giraffe. It’s an easy self-drive destination, with good roads and little traffic, and the joys of a road trip here include stopping off at roadside shacks to buy snacks and interact with local tribespeople. Don’t miss a trip into the desert – the Namib is one of the oldest and driest in the world – to see the striking petrified trees of Dead Vlei set against the giant, burnt orange dunes. You can climb the world’s highest dune if you’re feeling adventurous, or from the coastal city of Swakopmund, you can see it all from above in a small plane. The sunsets here are divine, so make sure you spend some time by the ocean to see the last light of the day twinkle on the sea. Stay at the luxurious Dolomite Camp, right in the national park, where leopards are known to roam by night – don’t worry, the camp’s rangers will keep you safe! 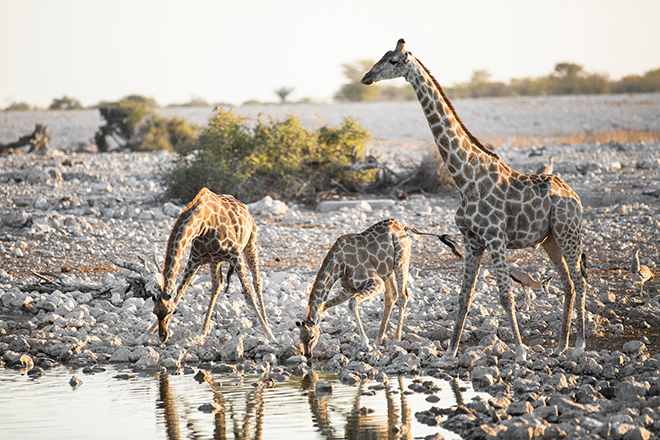 Good morning from Dolomite Camp, Etosha..
With temperatures much cooler – though not too cool, the average is still 26°C – in December, Dubai is a balmy break. 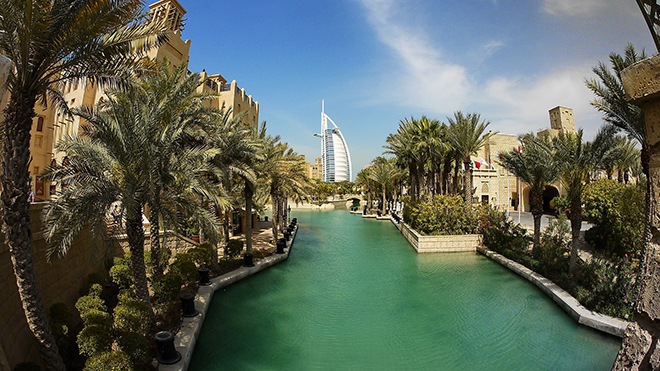 Be sure to save your money on Christmas shopping so you can have a little splurge for yourself here – it’s a prime shopping destination with enormous, glitzy malls and bustling spice and silk souks. There’s culture to be had here too, as the historic district of Al Fahidi shows what Emirati architecture once looked like before this desert town became the skyscraper city it is today. Get out into the desert with Platinum Heritage, who’ll drive you across the dunes in 1950s Land Rovers to a Bedouin camp, where dinner and dancing awaits and a sunrise hot air balloon trip the next day makes for an epic adventure. Stay at the Waldorf Astoria for ultimate luxury right on the famous man-made Palm island, or the newly refurbished Address Downtown, which opened in 2018 and is right next door to Dubai Mall. The lush jungles of Costa Rica couldn’t be further from your Christmas nightmares. The verdant forests that cloak much of the country are alive with some of the world’s most exciting wildlife, and the country has beaches lapped by both the Atlantic and Pacific oceans. 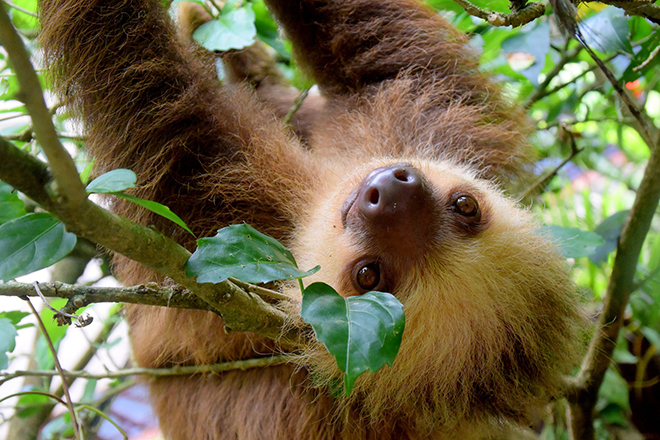 See sloths and hummingbirds out on a jungle walk before retiring to an eco-lodge where you can while away afternoons in a hammock with your favourite book, or spent days lounging on the gorgeous beaches backed by the verdant Manuel Antonio National Park. A trip to Monteverde Cloudforest is essential: suspended bridges and walkways allow hiking through the treetops, and for the thrill-seeker in you there’s an option to try a zipline circuit. Stay at Hotel Belmar, which has views over the surrounding forests and an on-site brewery for those end of the day sundowners. For an idyllic island escape, a million miles away from the chilly Christmas vibes at home, Ko Samui is glorious in December. It’s dry season in December, so you’re guaranteed warm, sunny days for beach bumming and snorkelling. There are all manner of resorts, from basic beach huts to luxurious spa hotels along the coast. 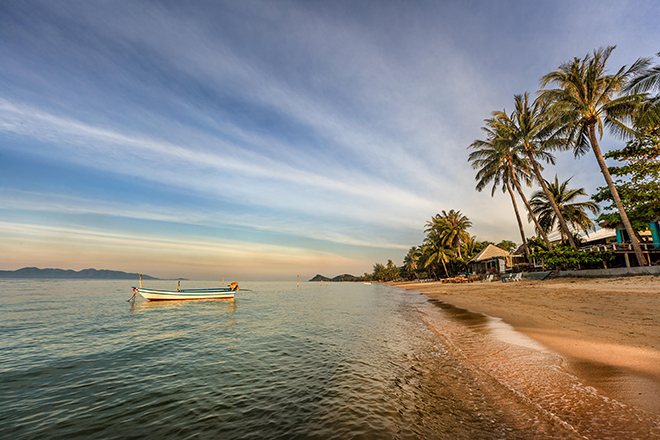 Ko Samui has plenty to entertain beyond the beach, too. Try hiking to one of the many waterfalls inland, or treat yourself to a little spree at one of the outlet malls on the island. Boat trips to the nearby islands offer the opportunity to get away from the coastline and swim in deeper waters, where you’re likely to see plenty more marine life. To get an even better view of the underwater world, though, try training for your PADI diving license at one of the schools on the island. Stay at Anantara Bophut for an excellent spa and stunning setting, or SALA Samui Resort & Spa, where stand-up paddleboards and kayaks are free to rent and there’s an adults-only pool.